Inside Chandler Hovey Park, or Lighthouse Point, at the northern end of Marblehead Neck. Grounds are open year round. In 1636, the first Colonial slave ship, The Desire, was built and launched from Marblehead. 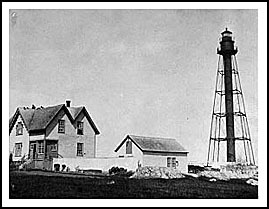 The first lighthouse built in 1838 was no higher than the local houses which caused many complaints from mariners who couldn’t see the lighthouse over the many larger homes and cottages that surrounded the lighthouse area. After many years of petitions and complaints, the present tall skeletal tower (see below) was built in 1896 at 130 feet above sea level. It is the only lighthouse of its type in New England. 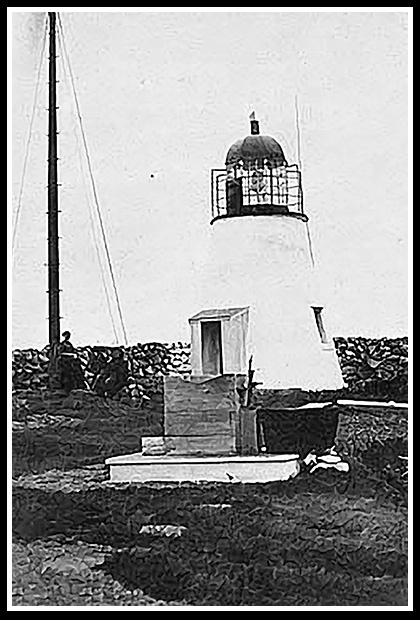 During the hurricane of 1938 which passed through, when the power to the lighthouse went out, Keeper Marden connected his car battery to the lighthouse wiring to keep the light working all night until local power was restored the next morning. 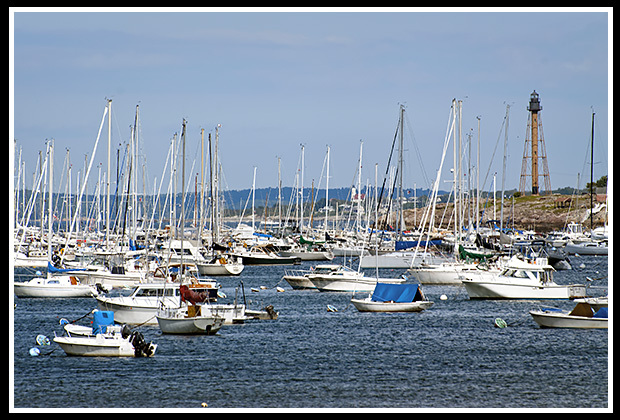 Marblehead, like Beverly in the North Shore, is a very affluent community with quaint shops and restaurants, beautifully decorated 18th century homes, many parks, and plenty of community events. It attracts many sailboats from around the world offering many sailing events. Scenic rides along the coastline go past picturesque marinas. 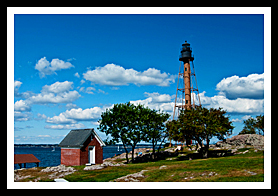 The lighthouse grounds are open year round in Chandler Hovey Park, also known as Lighthouse Point, on Marblehead Neck. You can walk around the lighthouse or picnic nearby. Visit the Marblehead Museum to view artifacts and architecture centuries old. From Boston, take Route 1A North to Atlantic Avenue (RT 129 N). At the end of Highway 129 (Atlantic Ave) in Marblehead, take a right onto Beech Street. Follow until it intersects with Ocean Avenue. Bear right onto Ocean Avenue and bear left onto Harbor Avenue, across the causeway onto Marblehead Neck. Follow Ocean Avenue until it ends at Follett Street. Turn left onto Follett Street, which leads to Chandler Hovey Park to the lighthouse. 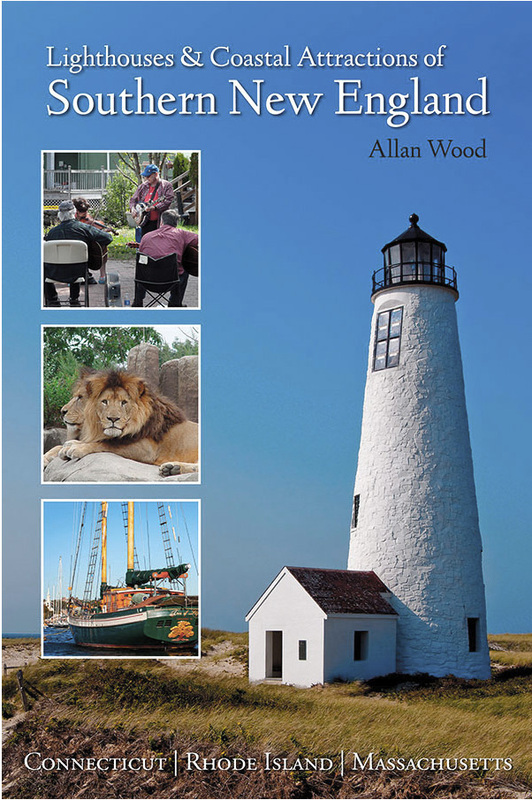 Boat cruises mentioned below may pass by Marblehead Light during specific lighthouse cruises, as part of charters, narrated wildlife and historic tours, ferrying passengers, whale watching, fishing tours and other types of excursions. Among daily cruises in Salem harbor, they provide specialized lighthouse cruises as part of their Early Summer Lighthouse Cruise and the Lighthouse Fall Foliage and Chowda Cruise. Provide tours around the Boston Harbor area, south shore area, and special tours up into the North Shore coastline region. Provide tours around the Boston Harbor area and up the North Shore region.